New item! 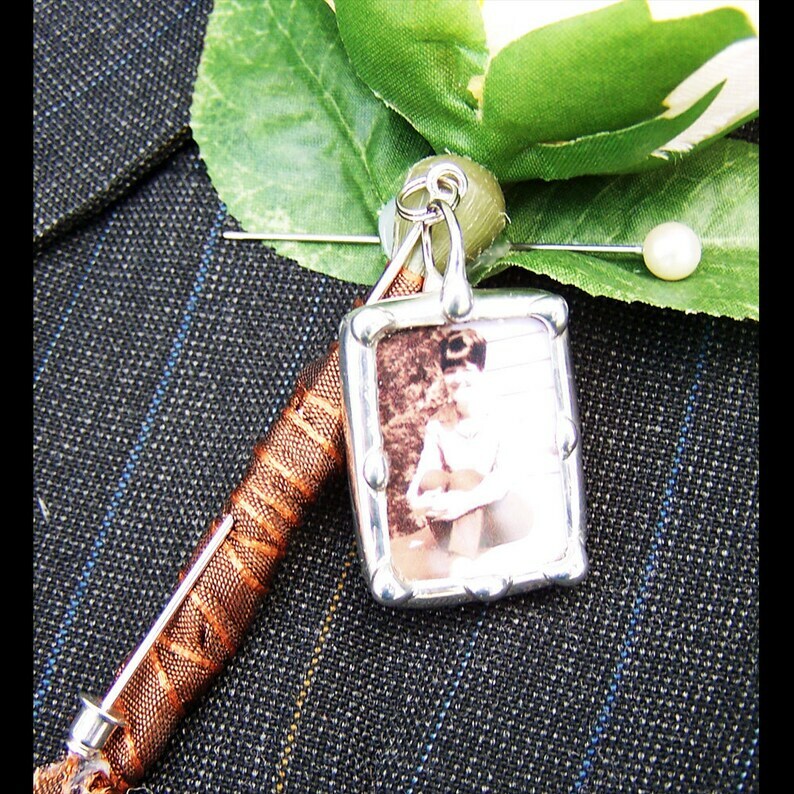 This photo charm stick pin is perfect for the groom's lapel or boutonniere or the brides bouquet. This item is to be custom made with your photo. It is two sided and you can have your own wording on the back or choose one of my designs. In addition to the bridal couple, these memorial keepsakes are also perfect for the mothers to wear or other members of the bridal party. The charm itself measures 3/4" x 1" or I for the same price I have a 3/4"x3/4" as in my charm bracelet size. The stick pin measures 2" and is silver plated. ORDERING INSTRUCTIONS: Once you place your order, I will contact you or you may use my email link at checkout to email me your photo and wording for the back. This shop was very easy to work with! Answered my multitudes of questions! I was able to approve a proof before the piece was completed. When I received the lapel pin, it exceeded my expectations. I look forward to my son wearing it at his wedding and having his grandparents close to his heart. Communication was great. Picture turned out awesome. Was very happy with lapel pin!